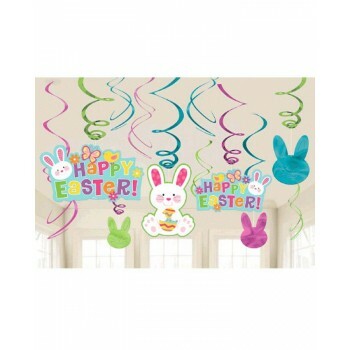 Happy Easter hanging swirls value pack. 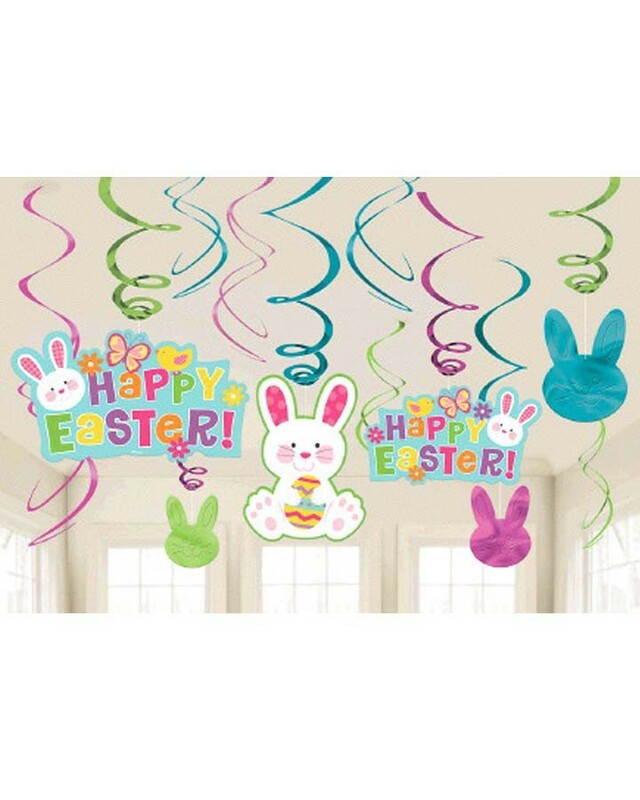 Includes 6 x plain foil swirls, 3 x foil swirls with 18cm cutouts, and 3 x foil swirls with 13cm cutouts. Pack of 12.